Smith Hall opened in the fall of 2005 under the name of New Hall. In May 2015, in honor of a generous contribution by John Smith '71 and Dyan Smith, Honorary Alumna, to Cornell's the building was renamed Smith Hall. 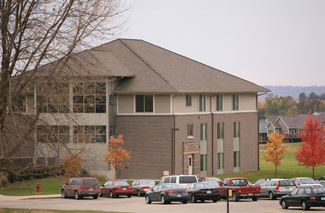 The three-story building features six suites (two per floor) accommodating eight students apiece in four double-occupancy rooms.